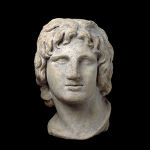 In August 2012 I photographed a number of objects in the British Museum, including “Marble Portrait of Alexander the Great” , and “Head of a Horse of Selene“. I used Autodesk’s 123D Catch application to process my photographs into 3D wireframe models. 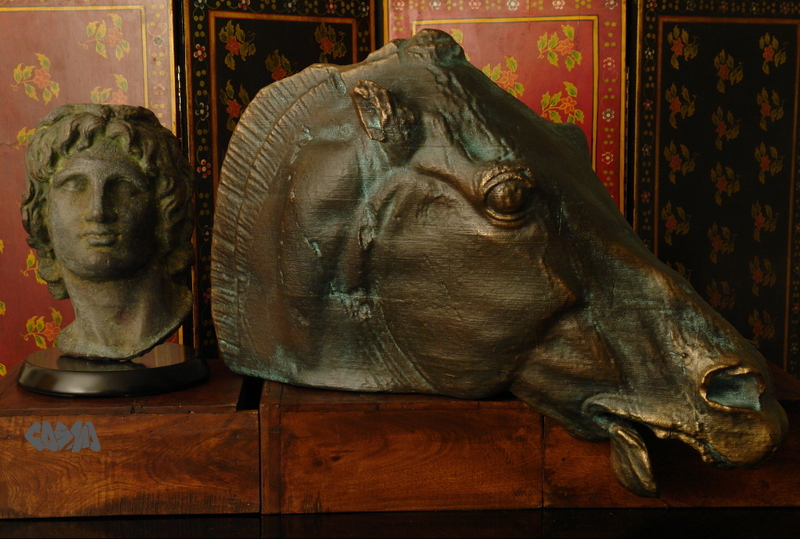 I printed them on a MakerBot Replicator, and I metalized and patinated them with Alternate Reality Patinas. 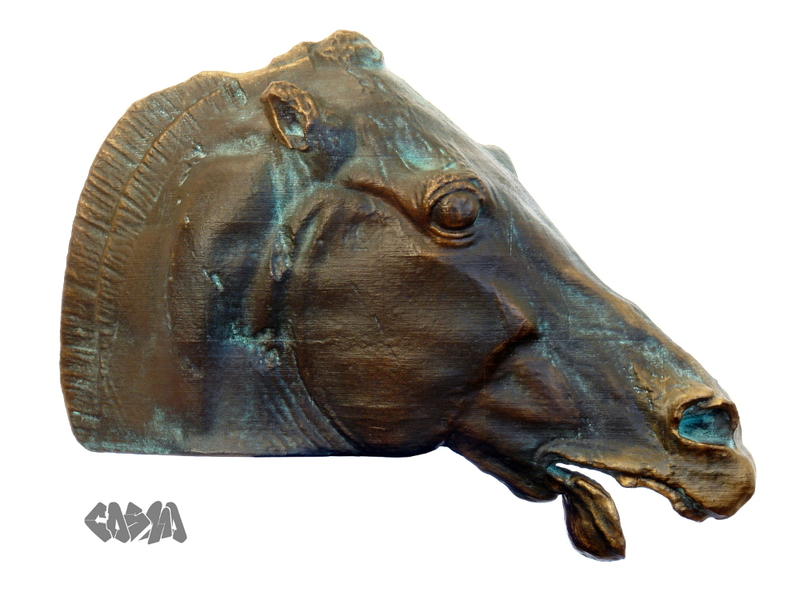 Then I published the scans and design files into the public domain. 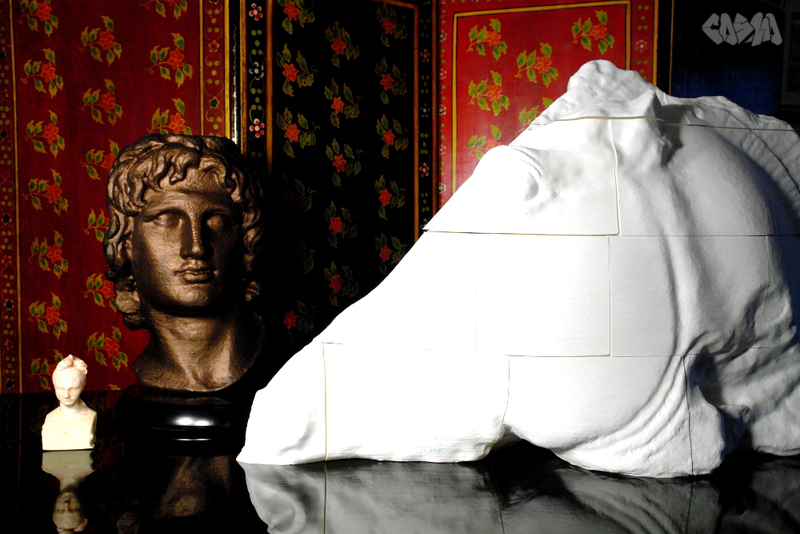 I made these pieces for the first annual 3D Print Show in London, 2012, in an attempt to show that, with the right finishes and attention to detail, 3D printers can produce objects of art worthy of public and private display. 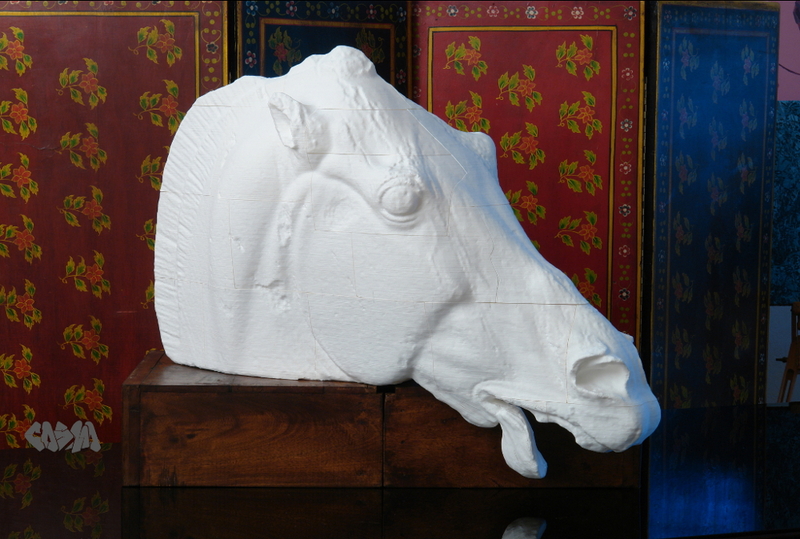 Not just miniature figurines, or toys, or practical household objects, and not just prototypes. They can do more than evoke the desired object, they can be objects of desire. 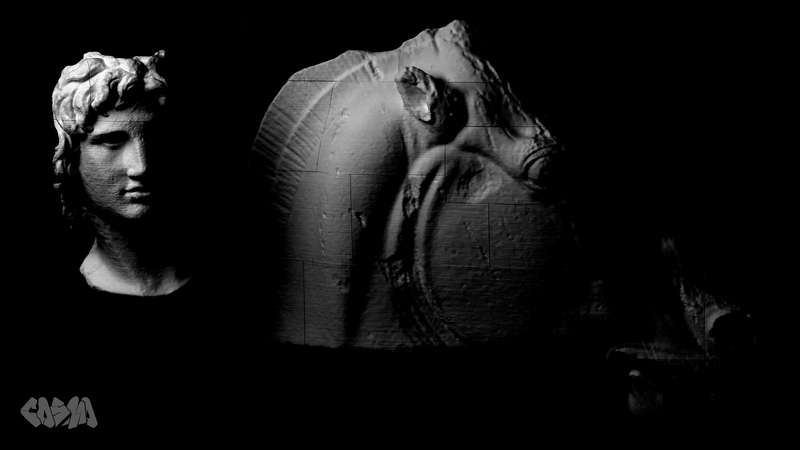 But I chose these subjects in particular — elemental, archetypal museum pieces — to try to advance a different but complementary idea, that with 3D scanning and 3D printing, private collectors and museums have an unprecedented opportunity to recast themselves as living engines of cultural creation. They can digitize their three dimensional collections and project them outward into the public realm to be adapted, multiplied, and remixed. They should do this because the best place to celebrate great art is in a vibrant, lively, and anarchic popular culture. The world’s back catalog of art should be set free to run wild in our visual, and now tactile, landscape, and whether it turns up lit in pixels on our screens, rematerialized in our living rooms, or embedded in our architecture or clothing, it’s all to the good. And for forward-thinking, innovative institutions and collectors, and for everyone involved in this young industry, there’s prestige, money, value, meaning, and beauty to be made in making this a reality. 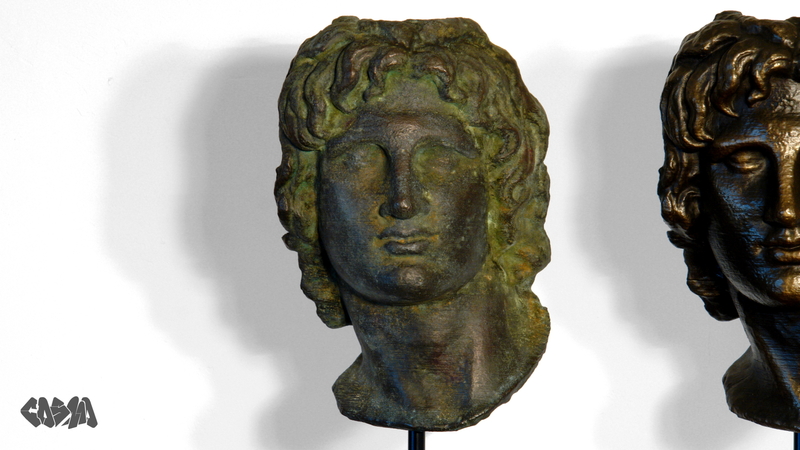 Portrait of Alexander the Great, -300 in Lost Bronze and Head of a horse of Selene in Epic Bronze. 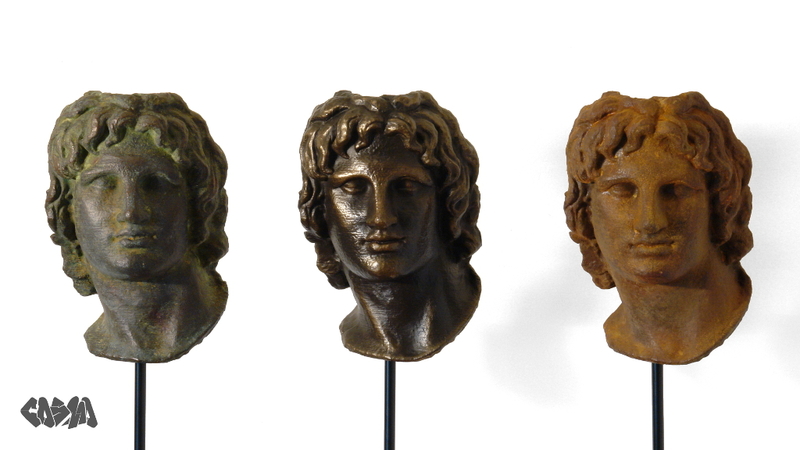 Portraits of Alexander the Great, -300, 1440, 1945 in Lost Bronze, Firenze, and Wrecked Iron. 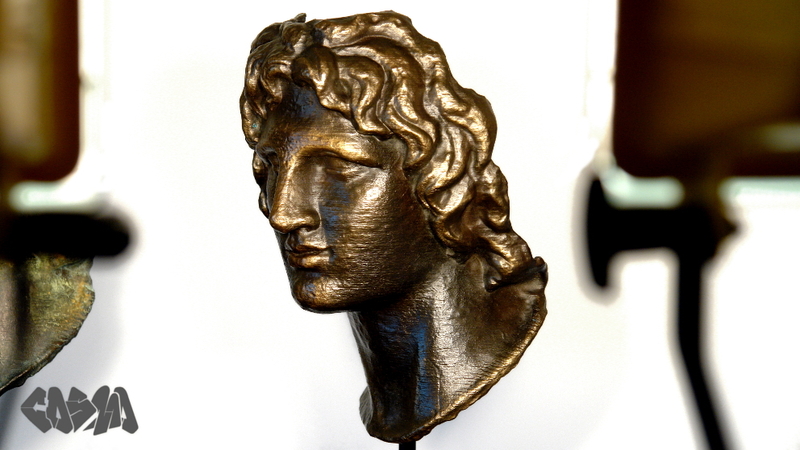 Portrait of Alexander the Great, -300 in Lost Bronze. 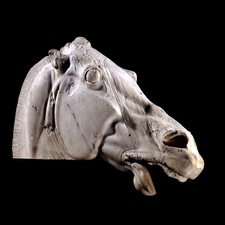 A bronze precursor to the British Museum’s marble, with a variegated green patina that might form after 2,312 years of weathering. 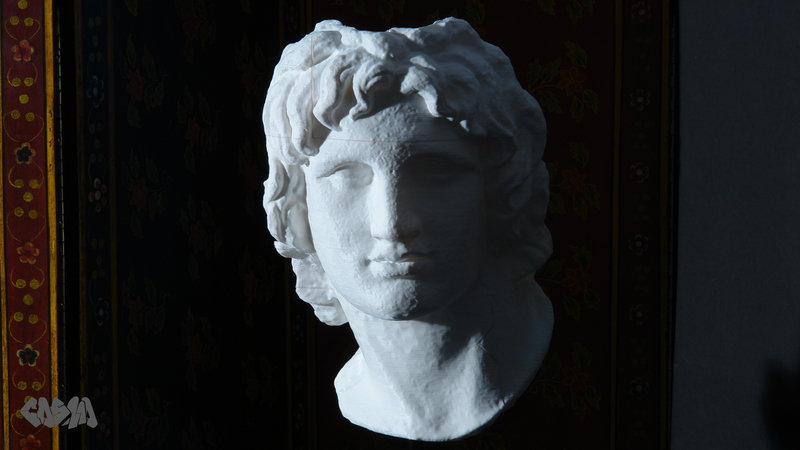 Portrait of Alexander the Great, 1440 in Firenze. A deep, dark bronze, cared for its entire life, with shiny highlights on its brow, nose, lips, hair, and chin, where its admirers have touched it and inadvertently polished it bright over the centuries. 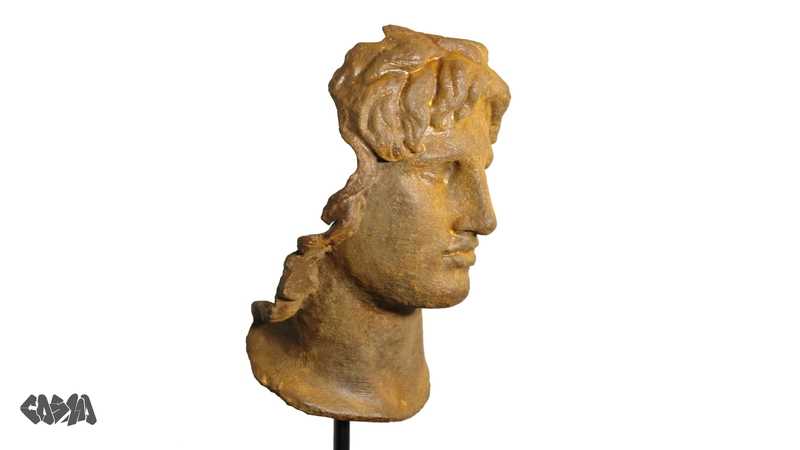 Portrait of Alexander the Great, 1945 in Wrecked Iron. The conqueror king as rusted, abandoned industrial wreckage. Print and finish progress photo, with protoype from Through A Scanner, Getty. The British Museum calls the original “perhaps the most famous and best loved of all the sculptures of the Parthenon.” I’ve seen a few references which state that plaster casts of this sculpture were extremely popular in the 19th century, and I can believe it — I find it extremely expressive and stirring in person, and I hope my reproduction captures and transmits at least some of that experience.